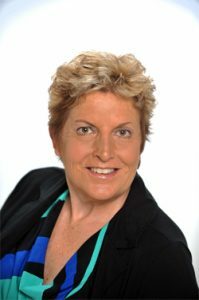 A successful private family law attorney in Vancouver, first with the highly reputable family law practice of Scott Horenstein Law Firm and then in her own private practice. A Deputy Prosecuting Attorney in Yakima County for nineteen years. She first served in the Child Support Division and then as supervising attorney for the Juvenile Criminal Division, handling major felonies. A Legal Services attorney in Spokane, Everett and Longview handling Family Law, Public Entitlement appeals, Employment Law, Prisoner Rights, Property Law and Senior Law issues. An Assistant Attorney General in King County, assigned to juvenile dependency and parental termination cases, parole revocations and child support. A Public Defender in Seattle representing parents in dependency and termination cases as well as defending juveniles charged with crimes. In addition to her varied professional positions, Sidney has devoted significant time to service. In 2009 she was named Clark County Volunteer Lawyer of the year for her countless hours of work with the Clark County Volunteer Lawyers Program, the YWCA Domestic Violence Legal Clinic, the Housing Justice Project and the Second Saturday project dedicated to providing introductory legal advice to those considering divorce. She continues that volunteer work here in Yakima at the YWCA Legal Clinic and at Casey Family Services. As indicated in testimonials, Sidney’s clients find her to be determined, professional and compassionate. She strives to manage cases in a way that avoids drama, maintains focus on a positive future and protects children as much as possible. She handles predictable tensions and strife thoughtfully which tends to move agreements forward in a more efficient and less damaging fashion. With humor, honesty and a deep sense of caring, Sidney’s emphasis in family law is not just on the immediate outcome but what happens to you and your family after the gavel falls. Born and raised in Yakima, Sidney has a strong commitment to the community and a comprehensive understanding of its culture. Her grandfather, A.J. Splawn was an early pioneer, the first mayor of Yakima, a cattleman, a congressman and author of “Kamiakin: Chief of the Yakimas.” Her father, Homer Splawn, was a well-known Yakima attorney and horseman before retiring at the age of 85. Sidney still carries his briefcase and a soft spot for the underdog. 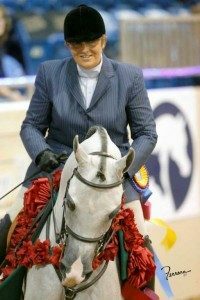 Married for over 25 years, Sidney and her husband, Scott, both inherited a passion for horses. They have raised, trained and shown Arabians and Half-Arabians throughout their married life. With a keen eye for a good horse, collaboration with excellent trainers and a heavy dose of good luck, Dolquist horses have been highly successful. When not in her office or with the horses, Sidney rescues dogs and works on the couple’s four acres in East Valley.